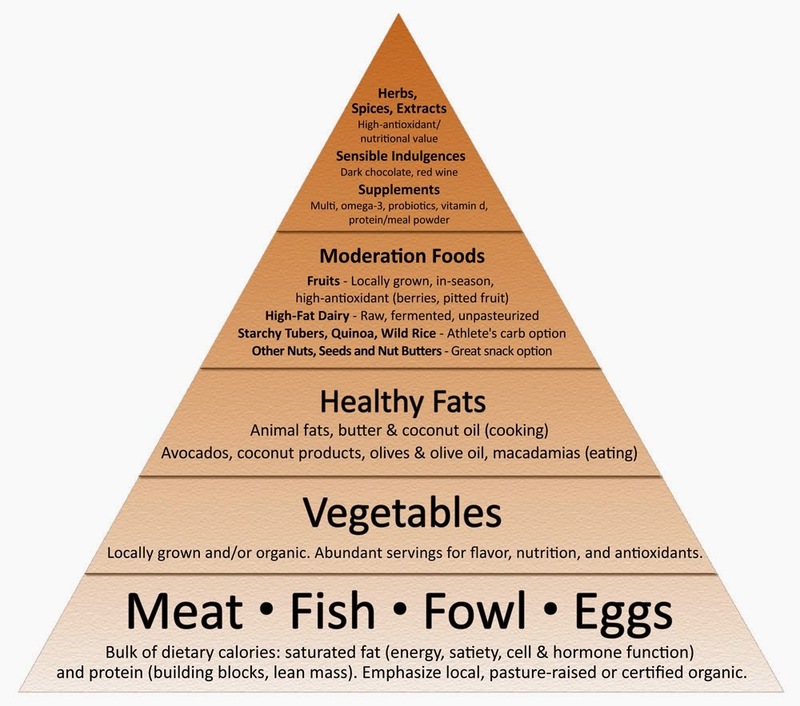 The Paleo diet has become an "IN" way to eat these days, but as with all things that suddenly become very popular, the basics often become lost. 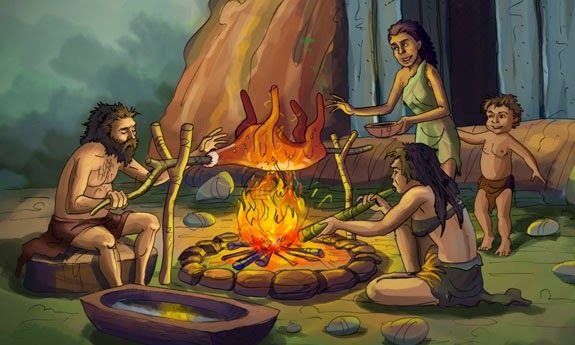 When people think about Paleo eating, more often than not they picture hairy cavemen chewing on huge steaks which comprise the majority of their diet. This is not actually the basis behind the Paleo diet. ..... and think it means we should be eating like this. Not the case. The main idea has always been to leave behind the over processed over sugared and over salted fake foods that so many are eating today, and to go back to eating basics - fruit, vegetables, meat and fish - grown on the land or acquired by hunting and fishing. This does NOT mean we should just concentrate on stuffing ourselves with steaks. Fruit and vegetables are important as well. In fact very important. We don't even know half of what is in all the different fruits and vegetables that are available to us today, but we do know that they are full of health benefits and in order for us to be healthy they have to constitute not just part of our diet but a large part. 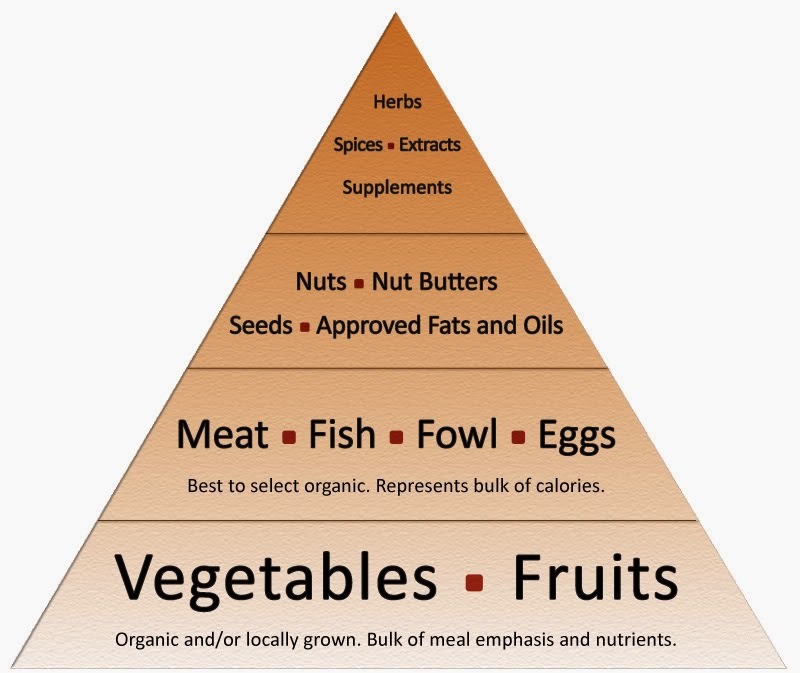 In his original food pyramid Mark Sisson make this very clear. As you can see, fruit and vegetables were the base of his plan and in his words should be the "bulk of meal emphasis and nutrients." Several years ago he changed his pyramid in an attempt to make it more clear. Unfortunately people pounced on the fact that now meat, fish, fowl and eggs were now the base, and many made these the main - and sometimes only - foods in their diet. This is not what Mark intended. (He explains his new pyramid here. ) Vegetables have always been and will always be a very important part of the Paleo diet. With saying that, many people don't eat enough. An occasional salad or whatever vegetables are added to a meat or chicken recipe are all they think about ....if they think about them at all. This is a BIG mistake, but how can it be rectified? How can you make sure you are getting all the benefits without adding yet another thing to your list of things to stress about? Today I'm going to give you a recipe that should make this a lot easier. The simplest and easiest way to get a quick infusion of healthy vegetables into your diet is with a great vegetable soup. Unlike the commonly held beliefs of his time, Hippocrates believed that diseases were caused naturally and not as a result of superstitions or wrath of the Gods. He separated the discipline of medicine from religion and argued that disease was not a punishment inflicted by the Gods, but rather the product of environmental factors, diet, and living habits. Even though the drug industry would have you believe differently, this belief is still very much held by leading Doctors and research scientists today. 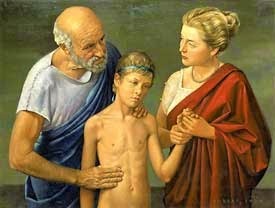 In fact Hippocrates soup plays a big part in the vegetarian diet used in many Cancer centres around the world. These centres have documented large numbers of cures, and you can get more information on this topic - specifically Dr. Max Gerson's soup therapy - by Googling his name. You don't have to be suffering from cancer or any other horrible disease to take advantage of the many benefits of Hippocrates soup. 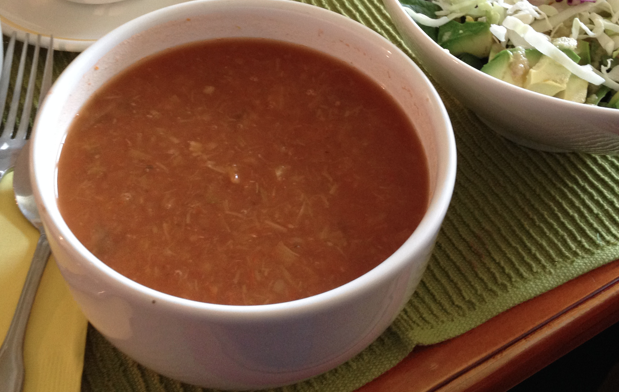 Along with other health benefits, this soup strengthens your kidneys and heals your immune system. There is also another benefit. Because the directions specifically call for the slow simmering of the vegetables, it's the ideal recipe to make in your slow cooker. My version of this recipe will make a huge pot full - enough to stock your freezer and be at the ready whenever you need an extra nutritional boost. Paleo eating is delicious, but if you tend to take it to extreme too often, if this is you on too many days ....then you might want to try the other extreme for a change. 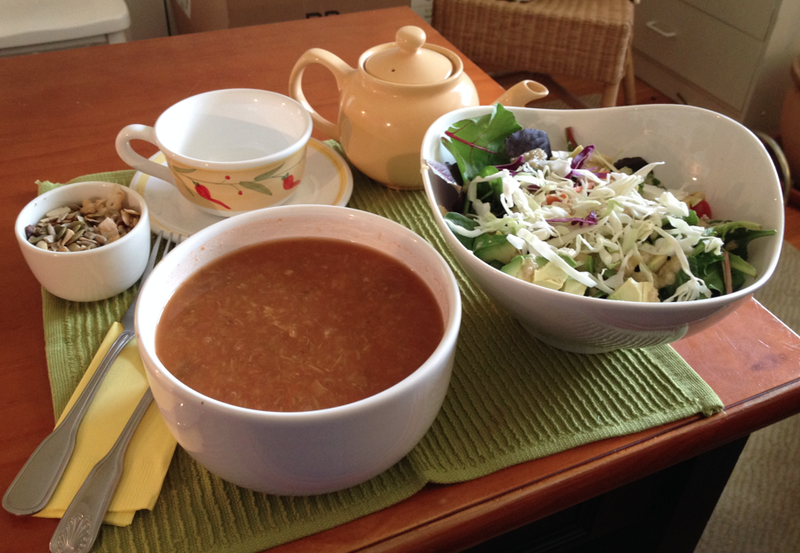 Have a few days on soup, salad and fruit and you will find your system with thank you for it. You will feel healthier, stronger, more clear headed, and much more energetic when you add more vegetables to your meals and eat a much more balanced diet. For the most health benefits use as many organic or home-grown vegetables as possible, and don't peel them. Just wash and scrub with a soft brush if necessary. 2 teaspoons Italian seasoning (or Pizza seasoning if you like a little heat) make sure you use herbs with no added salt. Chop all the vegetables coarsely, then put into the slow cooker. Add the seasonings. Cover with the crushed canned tomatoes and chicken broth if using, and enough fresh filtered water to cover. Using a food processor, blender or immersion blender puree the soup. You can also leave large chunks of vegetables in it if you prefer eating it that way. Serve this with a big bowl of salad, a small container of nuts and seeds, and a pot of herbal tea .... and you will have a wonderfully healthy and satisfying meal.